Richard Hardy is an exceptionally versatile, classically trained musician who has performed with the Denver Symphony. As an acclaimed sax, horns, flute an d woodwinds player, he can be heard on the award winning IMAX® films Everest and Dolphins (with Sting). 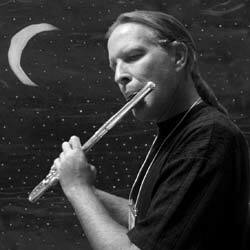 During his career, Richard has performed with Dave Mathews, Stevie Ray Vaughan, James Taylor, the Neville Brothers and sound healing pioneer Dean Evenson. He regularly performs with the jazz groups 3rd Force and the Ultra-Kinetic Orchestra, and the world fusion dance band Shapeshifters.